we are pleased to deliver it straight to you. We assure the security and safety of our products because we take all responsibilities from production to processing. Our purpose is not only to make products and sell them, but also to preserve our village, our beautiful nature we have always cherished, to cultivate our rice fields continually, and to maintain them. In order for us who live in this area to lead healthy and happy lives, we shift our focus to saving the environment by preserving soil and clear streams and strive to produce safe and good rice. The concept of our brand ‘From Gramp’s rice fields’ is to share our local products, delicious and good for health, made one by one with the greatest care. 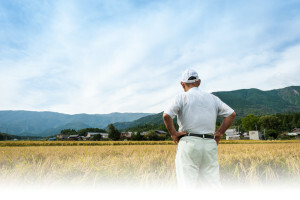 From the far-off place full of nature called Furuta, Fujiwara-cho, we are happy to introduce our excellent products. 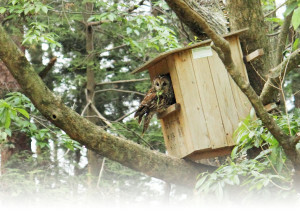 Owls live in our hometown Furuta because we have small animals like true frogs that they feed on. Small creatures used to be everywhere around the rice fields, however, as more farmland was paved with concrete, they had nowhere to go. Fujiwara Farm aims to leave our rich natural environment to future generations to protect lives of small animals in the changing times. To support environmental conservation activities (Hosuke Club) for which local people work together, we donate 10% of the proceeds of ‘Living with owls’ line to the club. We hope to contribute to the community if there is any way in which we can be of any help.